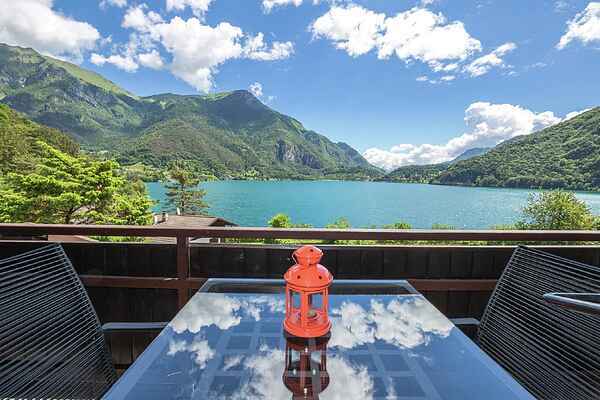 Holiday apartment at approximately 50 meters from Lake Ledro. It is located in the area called Pur, just to the southeast of Pieve di Ledro. The apartment is furnished with care. Lake Ledro is only 3 km long and less than 1 km wide. This charming mountain lake has an unusual green-blue colour. It is the perfect place for a relaxing holiday. You can easily reach the larger and more popular Lake Garda which is around 15 km away.